In order to address many of the energy and environmental challenges society faces, it is important to be able to characterise subsurface fluid flow. In low-permeability reservoirs, the fracture conductivity dominates the hydraulic properties of geo-formations. It is therefore crucial to develop a realistic understanding of their behaviour in in-situ conditions. Characterising the hydro-mechanical behaviour of fractures is closely tied to its surface geometry, namely, the fracture size, aperture field and its roughness. Most studies addressing these fundamental problems rely on numerically generated aperture data since obtaining valid experimental results is technically difficult. Therefore, results of these studies cannot readily be applied to real rock fractures under in-situ conditions. In this project we aim to address this void in the literature by developing an experimental method that is relatively easy to implement and use the results for numerical modelling of the fracture flow field evolution in realistic conditions. 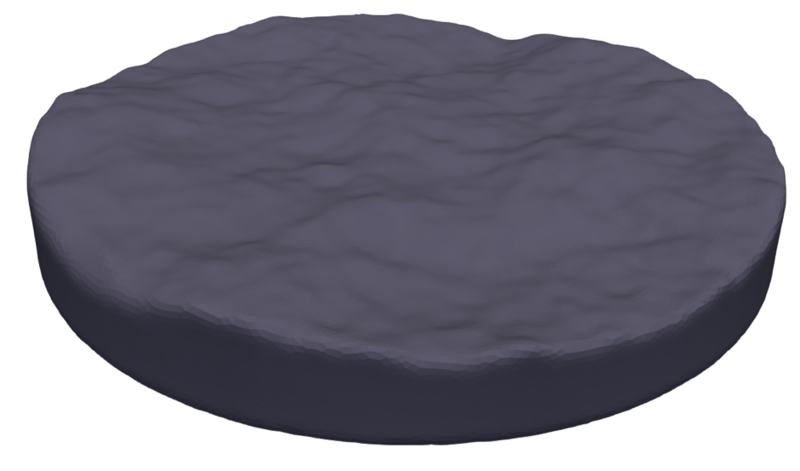 Fracture aperture distribution and roughness of natural fracture surfaces are captured with a high-resolution scanner. This allows reproduction of fracture geometries by 3D printing transparent material. These fractures will then be subjected to different loading states and the changes in aperture and flow field can be visualized. The experimentally measured contact area evolution will be used to develop/validate a coupled numerical model suitable for characterising fractures. 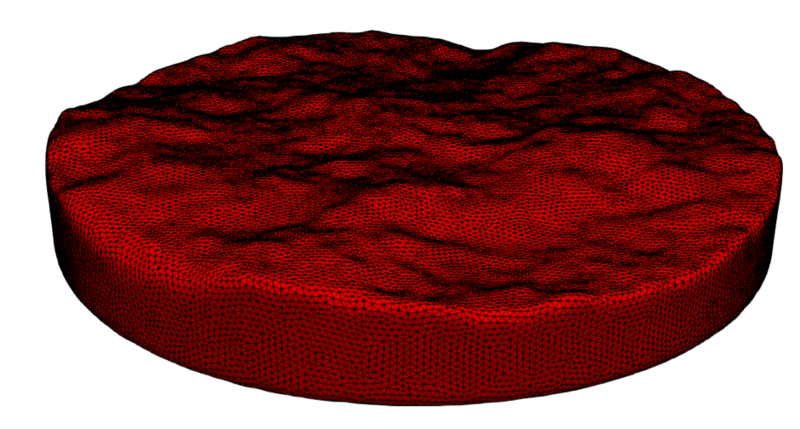 This method enables researchers to experimentally study the hydro-mechanical behaviour of rough fractures based on detailed fracture geometry data in a non-destructive and reproducible manner. Barton, N., Bandis, S., and Bakhtar K. “Strength, deformation and conductivity coupling of rock joints.” International Journal of Rock Mechanics and Mining Sciences & Geomechanics Abstracts. (1985) 22 (3) pp.121-140. Zimmerman, R.W. and Bodvarsson, G.S. “Hydraulic conductivity of rock fractures. “Transport in Porous Media (1996) 23(1) pp.1-30. Rutqvist, J. and Stephansson, O. “The role of hydromechanical coupling in fractured rock engineering.” Hydrogeology Journal. (2003) 11(1), pp.7-40. Vogler, D., Settgast, R. R., Annavarapu, C., Madonna, C., Bayer, P., & Amann, F. “Experiments and simulations of fully hydro‐mechanically coupled response of rough fractures exposed to high‐pressure fluid injection.” Journal of Geophysical Research: Solid Earth, (2018) 123 (2) pp.1186–1200. Planta, C., Vogler, D., Nestola, M., Zulian, P., Krause, R, “Variational Parallel Information transfer between Unstructured Grids in Geophysics-Application and Solutions Methods.” PROCEEDINGS, 43rd Workshop on Geothermal reservoir Engineering, Stanford University. (2018) February 12-14.